Organic Farming - croque-michottes jimdo page! Organic farming methods have been applied for nearly thirteen years at Croque-Michotte. As soon as Pierre Carle assumed the responsibilities of the vineyard in 1993, he practiced reasoned agriculture that consists in spreading in the fields only products apparently necessary according to the risks of diseases or insect or acaroids attacks. However, Pierre Carle found this method insufficient particularly as the only work specification provided was a self certification of the producer. Additionally he found the products expensive and their content description worrying. 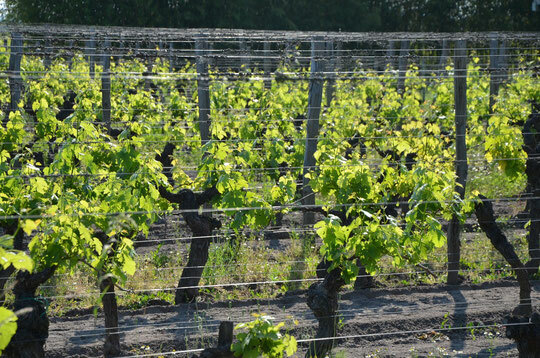 In this respect, Pierre Carle chose, in an effort to preserve employees’ health and also offer wines free of any remnants more or less dangerous, even after thirty years of ageing and legislative change, to place the vineyard entirely under organic farming methods. 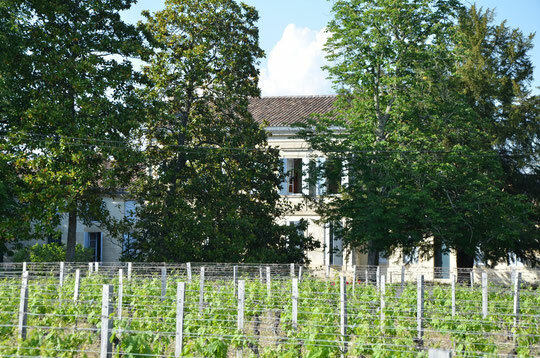 These consist in maintaining ploughing of the earth (herbicides are forbidden and were never used at Croque-Michotte), the organic fertilizers (chemical fertilizers are banned and were never used at Croque-Michotte), organic insecticides (synthetic products are banned) and the classic products of mineral processing (synthetic chemical products are banned) such as Bordeaux mixture (copper sulphate neutralized with lime to fight mainly against mildew) and the sulphur (soluble or powder to fight mainly powdery mildew). The vine is not doped, it defends itself largely by its own means and produces what it can at excellent quality. Every year Croque-Michotte is monitored by an organization approved by the Ministry of Agriculture: Ecocert FR-BIO-01. The vineyard is entirely visited, the storage of products used for treatment is inspected, and the bills of products are verified and compared with completed treatments and with the products in stock. Additionally analyses done at random are conducted in order to search for any residue of chemical products possibly present.